Merry Christmas fellow fishes! Today’s Christmas Eve, and today’s probably a very important day for you. You got gifts to get (slowpoke), people to see, things to prepare in the house, stuff to cook… well you get the idea. So I thought it’d be best to make this weekend’s Retro Weekend extra early and put it up at 7:00AM. I’m sure you got time to spare for this article. Last week I said that we’d come right back here and talk about something that changed my gaming habits. Well, if you look at the header image up there, then you know exactly what I’m going to talk about. Hit the jump to read about my history with the original Playstation. The story of the Playstation’s creation is world known, so I’ll keep this short. In the height of the Bit Wars, console makers wanted to go the route of CDs. SEGA was the most notorious with their CD add-on, the SEGA CD. Nintendo was feeling the pinch and teamed up with Sony to make a CD add-on for the Super Nintendo. They’ve already been friends with each other since the late 80s, and was the provider of the SNES’ sound processor. However, after Hiroshi Yamauchi (Nintendo’s former president) saw that the contract between Nintendo and Sony saw Sony having complete control over what was made on the add-on, Yamauchi was like “f this” and embarrassed the hell out of Sony during the Consumer Electronics Show in 1991. On the stage, Howard Lincoln (then NoA president) announced that Nintendo would be teaming up with Philips to make the CD add-on. Sony was furious over this. Not willing to have their efforts go to waste, Sony converted their CD add-on into a full console and called it the Playstation. And well, you know the rest. But head over to the Wikipedia page. It’s a pretty fascinating read. The PS1 came out in 1995 in the U.S. I never knew about the console until one visit to a Toys R Us where I saw a demo station of the PS1 hooked up. Immediately I noticed the unique layout of the controller. It felt weird, but at the same time comfortable. I’m not sure what game I ended up playing (it was probably Twisted Metal). But whatever enjoyment I had was cut short as we moved onto the next aisle. During the annual Christmas party my father’s family was having, I noticed the older kids playing the Playstation. They were playing Tekken 2 and I think some sports games. I wasn’t interested as I was still playing the Super Nintendo they had in the corner with the kids my age. Around 1996, I saw a contest ad for some cereal that was promoting the PS1 and a copy of Crash Bandicoot as the grand prize. I was not interested as I wanted a Nintendo 64 instead. A year later, a neighbor of mines that lived one floor below me started talking to my mom. As they hung out, I went inside and played the Playstation with her sons. They had Twisted Metal 2, and it was pretty damn fun. I guess my mom noticed that I liked the Playstation. Come Christmas time in 1998, And I saw this mysterious, and heavy, little box. I was hoping it was a Nintendo 64. Upon unwrapping… it was a Playstation. My reaction was one of… many emotions. Shock, surprise, disappointment, confusion. Out of respect I was happy to have gotten it. But in the back of my mind, I was like “It’s not an N64…” I hooked it up to my TV and played Blasto, the game that came with it. It also came with a demo disc. We’ll talk about Blasto in the future. But I was still bummed out about having the PS1. But as time went along I slowly began to warm up to having a PS1 and, in hindsight, realizing that my mom made the right choice (in my opinion) as most of the third party developers were leaving Nintendo. Plus, the games were cheaper ($40 new, compared to $60 for a new N64 game), the catalog of games were larger, and some franchises made the jump to the PS1, like Final Fantasy, Breath of Fire, and Megaman X. Did I get most of those big name games back then? No. While there were some games I missed out on for the N64, I’m glad to have grown up as a Playstation kid. And this isn't even all of the games I have. Some of them are elsewhere in the house. Yeah, my PS1 has suffered a downfall. This section is normally reserved for toys, but the PS1 has gone through one. Once I got a PS2 in 2001, it slowly began to replace the PS1. It was backwards compatible, so I slowly started having no need for it. And then, the Disc Read Error started popping up for the PS2 and it started having trouble reading PS1 and blue disc PS2 games. 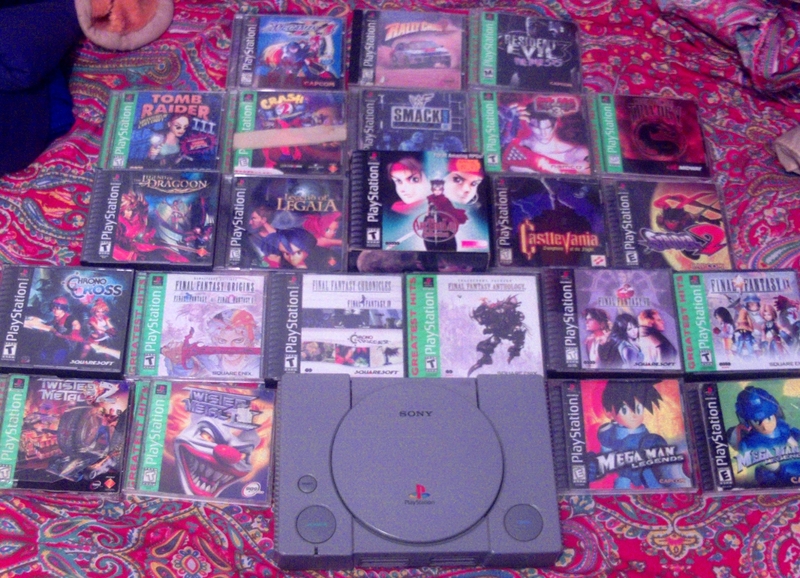 I went back to the PS1 to play my PS1 games. There were still some games to finish, most notably The Legend of Dragoon. The PS2 was having trouble reading one of the discs, so I had to move the game and memory card to the PS1. However I stopped playing the The Legend of Dragoon after just getting to Disc 4, and thus stopped playing the PS1, and later the PS1 games altogether. After about two years of inactivity, I attempted playing a game on it. Unfortunately, it’ll freeze on the main menu when attempting to boot up a game. It can still turn on and play music CDs. I’ve attempted repairing the system and the lens, but to no avail. Its game playing days are long over. I still have my PS3 though. 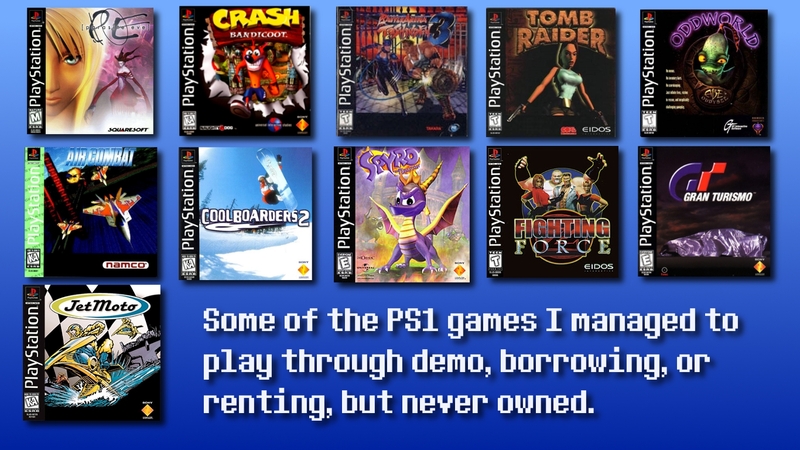 And remember, even though PS3s today don’t play PS2 games, they can still play PS1 games. You just have to check Sony’s website to see if there are any issues playing certain PS1 games on a PS3. And that was Christmas of 1998, the year that I got my Playstation. While having a PS1 still had me yearning for a Nintendo console (I returned with the Gamecube in 2002), I’m more than happy to have gotten a PS1. I came back to playing Final Fantasy, I was formally introduced to Castlevania, I was scared shitless with Resident Evil and Parasite Eve, nothing needs to be said when talking about Tomb Raider, I finally owned a Megaman game (several to be exact), and Legend of Legaia and Chrono Cross provided hours of gameplay for me. These games will have their own Retro Weekends in the weeks to come. Now go out there and run those errands for Christmas. I’ve kept you here long enough. I got stuff to do as well. So then, Merry Christmas from everyone here at The Wired Fish. See you on the next Retro Weekend! 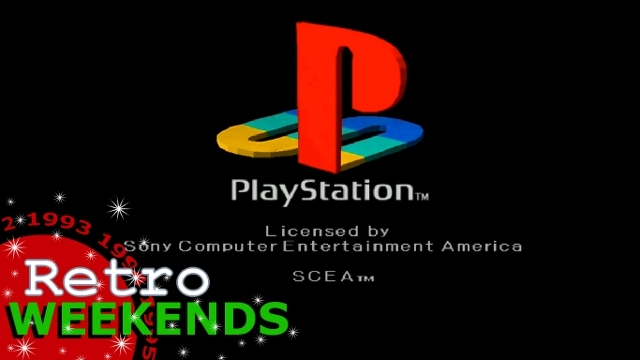 This entry was posted in Retro Games, Retro Weekends and tagged 1995, 1998, blasto, christmas, nintendo, philips, Playstation, ps1, retro, Sony, videogames on December 24, 2011 by Steven T.. I could be wrong, but I remember asking the price of Pokemon Stadium back then and the clerk said it was $60. Carts were mode expensive to produce than CDs, Thus the games were cheaper. Though nowadays “tech” seems to have brought the prices back to square one, instead of the manufacturing cost. 584,923 viewers accidentally found us!